The City of West Hollywood has long supported increasing its transit options. The West Hollywood City Council, in December 2015, approved a plan to conduct outreach and to build regional partnerships in support of a Metro rail project that would extend the Metro Crenshaw/LAX Line to West Hollywood and connect to the Metro Red Line. The proposed Northern Extension of the Crenshaw/LAX light rail transit line would provide critical north-south connections to, from, and through West Hollywood and would enhance the existing Metro regional rail network. Tell Metro Your Top Two Alternative Routes! Couldn't make it to one of the meetings? Metro's presentation slides and boards are available on their project website. 8.5 miles of the Metro Crenshaw/LAX light rail transit line are currently under construction in Los Angeles, Inglewood, and El Segundo from the Metro Green Line to the Expo Line where the current project terminates at the existing Expo/Crenshaw station. The project will serve the Crenshaw District, Inglewood, Westchester, and LAX (via a people mover connection being constructed through a separate project). The Northern Extension of the Crenshaw/LAX line would bring the light rail line north through Mid City, West Hollywood, and Hollywood to the Metro Red Line resulting in between 5-9 new stations and 6.5-9.5 miles of new track depending on which alignment alternative is ultimately selected. Passed in November 2016, the Measure M transportation sales tax measure allocates $2.33 billion towards the project with groundbreaking not scheduled until 2041. West Hollywood residents strongly supported each of the transportation sales tax initiatives in Los Angeles County, surpassing all other communities in the County except Cudahy in the degree of their support (Measure R 83.6%, Measure J 81.4%, Measure M 86%). On May 7, 2018 the City Council formally voted to support accelerating the Northern Extension of the Metro Crenshaw/LAX light rail transit line to West Hollywood and Hollywood with Resolution No. 18-5055. This action builds upon previous Council actions dating back to before the passage of the Measure M transportation sales tax measure and a previous commitment from Metro CEO Phil Washington to get the project shovel-ready and competitive for future funding opportunities. Authorizing Staff to hire consultants to analyze various potential revenue streams to raise up to $550 million towards accelerating the project. On July 27, 2018 the Metro Board of Directors voted to release the Crenshaw Northern Extension Feasibility/Alternatives Analysis Study Final Report—an important milestone in the planning and environmental clearance process necessary to make the project competitive for future funding opportunities and acceleration. Overall, the Feasibility Study shows that the Northern Extension project will have the highest ridership of any light rail line in the United States and serve some of the densest, most job rich, and most congested areas in Los Angeles County while providing time-saving alternatives to highly congested travel routes. Five alternative rail alignments were studied in the Feasibility Study but additional outreach and technical studies were funded and authorized by the Metro Board of Directors on September 27, 2018. Over the next few months, outreach to West Hollywood and other communities along the corridor as well as additional technical studies will provide key information to decision makers as Metro works to refine the number of alternatives that will eventually be carried forward into an Environmental Impact Report (EIR). Additional information will be posted to this web page as it becomes available. 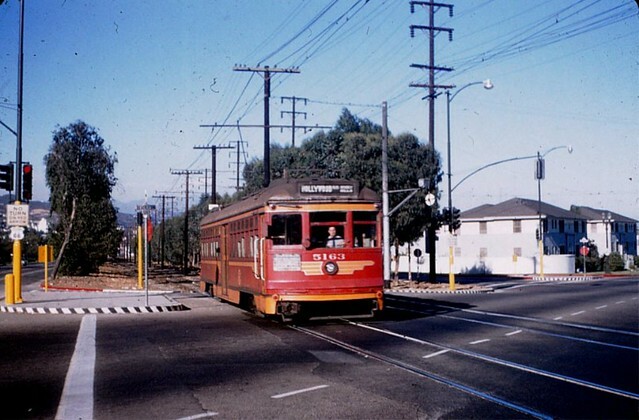 For additional information about the City’s Rail Advocacy efforts, please contact David Fenn, City of West Hollywood Associate Planner, at dfenn@weho.org.